Like so many of you, I am eagerly awaiting the release of ‘Bohemian Rhapsody’, the upcoming 2018 biographical film about the British rock band Queen, focusing on lead singer Freddie Mercury’s life. Each of us will have a favourite (or more) of his songs. 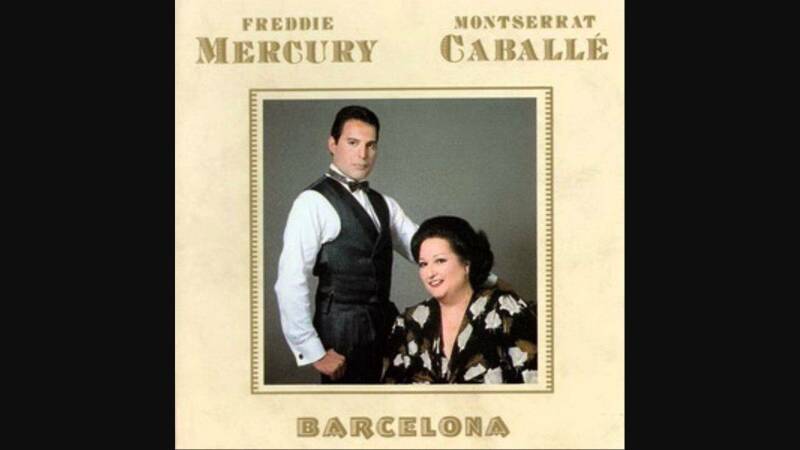 For some of us, that list may include the 1987 song that has been described as the “a rare textbook example of a combination of pop and opera singing which accentuated their differences”: ‘Barcelona’, the single released by Mercury and operatic soprano Montserrat Caballé. It became one of the biggest hits of Mercury’s solo career, and such a sensation that it, for better or worse, defined Caballé as “the opera star who duetted with Freddie Mercury on Barcelona” even when the press worldwide broke the news of her death on 6 October 2018. In the Queen song ‘It’s a Hard Life’, he opens with the ‘Vesti la giubba’ (‘Put on the costume’) theme from Leoncavallo’s opera ‘Pagliacci’. In the music video, the sets borrow heavily from the world of opera. In 1979, he performed ‘Bohemian Rhapsody’ and ‘Crazy Little Thing Called Love’ with the Royal Ballet. He had never done any ballet before, but it was something he had always wanted to try. In the video for ‘I Want to Break Free’, he emulated famed ballet dancer Vaslav Nijinsky in the legendary Ballets Russes production of Debussy’s symphonic poem ‘Prélude a l’après-midi d’un faune’ (Prelude to the Afternoon of a Faun). He was especially fond of the singing voice of Montserrat Caballé and said so on Spanish television in 1986. They met the following year in Barcelona, Caballé’s home city. When she was asked to produce a song for the opening ceremony of the 1992 Summer Olympics in Barcelona, she roped him in. The idea excited her so much that it was decided that rather than just a single, they record a whole album together. Caballé’s tight schedule complicated the planning of recording sessions, so Mercury recorded the song, with him singing her part as well, in falsetto, and then sent a tape to her to prepare her for the joint studio sessions. During those sessions, Mercury was reportedly amazed at Caballé’s voice control; in the fadeout of the ‘Barcelona’ song, he had to step away from the microphone to decrease his voice intensity, whereas “she didn’t move at all”. Merury’s own voice range was quite phenomenal for a ‘non-classical’ singer. Although his speaking voice fell in the baritone range, he sang most of his songs in the tenor range. He could sing a vocal range from bass low F (F2) all the way to soprano high F (F6). He certainly impressed Caballé, who said that “the difference between Freddie and almost all the other rock stars was that he was selling the voice”. The music video that plugged the song was unforgettable, and broke new ground with the conductor wielding a light-sabre as baton, and the audience waving shimmering lights in a pre-mobile phone era. Maria de Montserrat Viviana Concepción Caballé was born into a family of humble financial circumstances in Barcelona. 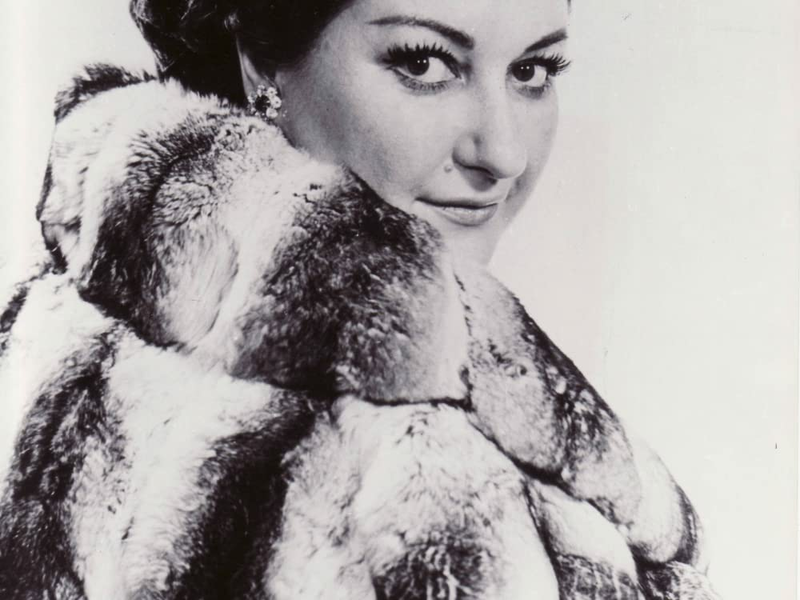 She graduated with a Gold Medal from the Liceu Conservatory in 1954 and then moved to Basel, Switzerland, where she made her professional debut in 1956 as Mimi in Puccini’s ‘La Bohème’. A succession of roles in operas by Mozart, Richard Strauss, Gluck, Massenet followed, taking her to Bremen, Lisbon, and as far as Mexico. But her big international breakthrough came in 1965, when she stood in for an indisposed Marilyn Horne in a semi-staged performance of Gaetano Donizetti’s ‘Lucrezia Borgia’ at Carnegie Hall New York, at which she deservedly received a 25-minute standing ovation. It was her first bel canto opera role which she learned in less than a month, and her achievement created waves in the opera world. Subsequently she was invited to all the world’s opera capitals, singing a wide range of roles. She is best remembered as an exponent of the works of Verdi and of the bel canto repertoire, notably the works of Rossini, Bellini and Donizetti. It will indeed. Those interested could visit YouTube not just for her ‘Barcelona duet with Freddie Mercury, but for so much of her operatic oeuvre. You can listen to a very young Caballé singing the aria ‘Al dolce guidami’ from Donizetti’s Anna Bolena, to which inevitable comparisons have been made to the great Maria Callas herself. ‘Un bel di from ‘Madame Butterfly’ (Puccini). She lives on, immortal in cyberspace and in our hearts.